For NCEA Levels 2 and 3, 20 out of the 80 credits required for each year will be earned from a trade’s course, a research project or community action project. Rotorua Boys’ High School principal Chris Grinter said he would not be keen to see NCEA Level 1 go. “We certainly are not thinking of reducing our exposure to it. “I am indeed one of the principals that signed the request to the minister to proceed with the review with caution. This was the position for a majority of the boys’ schools. 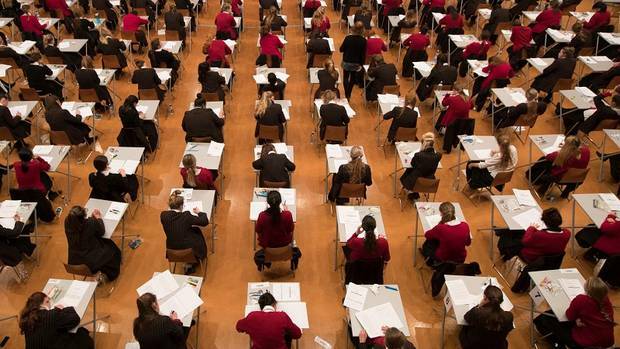 Western Heights High School principal’s nominee Ben Prangnell said the school was in consultation with the Government regarding the future of NCEA Level 1. “One of the proposals from the Government is to reduce NCEA Level 1 credits and include passion projects alongside literacy and numeracy. We see some benefits of doing this but also see some challenges. He said the school was “grappling with a couple of things” when it came to NCEA. “One is the huge amount of work it places on staff and students. Another is that NCEA Level 1 has lost a lot of significance. It doesn’t lead to University Entrance, it doesn’t lead to any apprenticeships or courses – it seems to have lost a lot of value. Whereas Level 2 and 3 are good platforms to work off.